125 Coloradans received prescriptions for aid-in-dying medications in 2018, a 74 percent increase from 2017. Colorado got its first look at how the controversial End-of-Life Options Act played out in 2017, offering terminally ill individuals in the state the choice to request aid-in-dying medications for the first time. As the program enters its third year, Coloradans are using the option more often. Colorado voters chose to pass the proposition in 2016, allowing eligible terminally ill individuals with a prognosis of six months or less to live to request and self-administer medication to end their lives. In 2018, 125 patients received prescriptions for the medication, a 74 percent increase from the 72 prescriptions written in 2017, according to data recently released by the Colorado Department of Public Health and Environment. For state officials, the increase isn’t surprising. “We anticipated that between 2017 and 2018 participation would increase based on the experiences of Oregon, California and other states who have seen increased participation from year one,” said Kirk Bol, manager at the public health department’s registries and vital statistics branch. Colorado is currently one of six states in the country with codified dignified death laws, joining California, Hawaii, Oregon, Vermont, Washington as well as the District of Columbia. Sixty-six different physicians provided prescriptions for the aid-in-dying medication across the state. The most common underlying illness among patients was malignant neoplasms (cancerous tumors) with a total of 75 patients, followed by progressive neurological disorders (26), chronic lower respiratory disease (seven) and heart disease (six). Demographically, the numbers look relatively similar to 2017. Men and women were prescribed the medication at an almost even rate, and individuals 65-74 years old (30.8 percent) and 75-84 years old (23.1 percent) were the highest percentage participants. More than 86 percent of individuals who were prescribed the medication died at their own residence, as opposed to nursing homes or other long-term care facilities. A majority of the individuals who received prescriptions were from the Denver Metro Area (64 percent), followed by other Front Range communities like El Paso, Larimer, Pueblo and Weld counties (19.2 percent). Bol confirmed that Summit County is represented among participants, though he couldn’t provide any specific details due to confidentiality concerns. Of the 125 individuals who were prescribed the aid-in-dying medication — typically either Secobarbital or a DDMP (diazepam, digoxin, morphine sulfate, propranolol) compound — the state’s public health department received reports that 86 patients actually received the medication. But according to the report, the state received death certificates for 104 patients through vital records registration, highlighting both some quirks in the law and concerns about non-compliance with the state’s documentation requirements. Despite at least 86 patients having received the medication, and more than 100 death certificates, it’s unclear how many individuals actually took the medication. By law, the underlying terminal illness or condition must be assigned as the cause of death on the patient’s death certificate, regardless of whether or not the person ingested aid-in-dying medication. Additionally, the law doesn’t authorize the state to follow up with physicians, patients or their families to try to obtain information about the use of the medication. Adding to the confusion is the fact that there are still a number of physicians who aren’t properly complying with the state’s documentation requirements. By law, physicians are required to provide the state with an attending physicians form, a patient’s written request for aid-in-dying medication, a consulting physician’s written confirmation of prognosis and written confirmation of a patient’s mental capacity (if necessary) within 30 days of writing a prescription. Likewise, pharmacists are required to submit a form within 10 days after filling a prescription. But that hasn’t been the case. Of the 125 patients who received prescriptions, 109 attending physician forms were submitted, 90 patient’s request forms were submitted and 84 consulting physician’s written confirmations were submitted. Over the last two years, only one mental health provider’s confirmation has been submitted, though their documentation is only required when the prescribing physician believes the individual is suffering from a psychological state causing impaired judgment. Bol noted a few possible explanations for the missing documentation, including the fact that the data collection period for 2018 ended in January, a few days before the 30-day limit, but admitted compliance has been an issue. Part of the problem is the relative novelty of the new law. 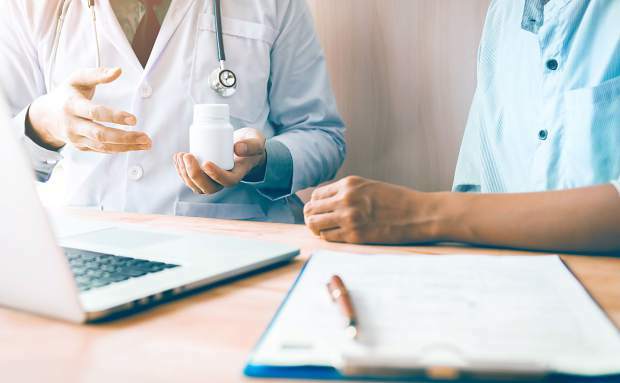 Bol said that the physicians who commonly work with terminally ill individuals, and who write prescriptions for aid-in-dying medication, typically return complete documentation more often. Physicians tackling the issue for the first time are more likely to misinterpret or hand in incomplete documentation. But aside from continued education and outreach efforts to reinforce the necessity of proper documentation and reporting, the public health department doesn’t have many options to address the problem. Bol continued to say that the state reserves the right to make a referral to medical or pharmaceutical boards if they believe the issue poses a threat to public health, though sporadic reporting isn’t an issue they’ve felt a need to bring up. Still, officials are optimistic the compliance issue will work itself out as medical providers become more accustomed to the requirements.